It’s something we take for granted nowadays, but voting by secret ballot was established only in 1872. Before that it was considered the manly thing (yes, Virginia, manly – no women then had the vote) to declare your choice and to add your name and address. Mind you, the arrival of the secret ballot was greeted with dismay in many quarters. Before its arrival, opportunities to bribe and intimidate voters were combined with lots of drinking and partying around election day. And openly declaring your electoral choice could be a risky affair: in 1868 in Blackburn, it is reported that a Tory voter was kicked to death by a group of Irish navvies. Which brings us to the recall of Ian Paisley Jr and the need for the signatures of 10% of the electorate before a by-election can be called. That’s 7,547 signatures. The hope had been that there’d be ten centres opened where people of the constituency could sign up for a recall, but in fact there’ll be only three centres opened in the constituency. People can sign up to put Ian the Younger to the test at these three centres from 9 a.m. to 5 p. m. over the period 8 August to 19 September, On 6 September and 13 September, signing up hours will be stretched: it’ll be an extended 9.00 am to 9.00 pm on those days. There are a number of people who think this arrangement isn’t one bit suitable. If you’re working 9-5 at even a short distance from a nominated centre, it could be difficult to find time to sign your name. But even if they do find a way to get to one of the centres, I see a problem. No matter how you do it, it looks as though this is going to be back to the pre-secret ballot days. Perhaps it’s been arranged differently, but I assume that if you’re going to sign a petition, you’re going to have to sign your name. Unlike the secret ballot, there’s no question of placing your X on a sheet of names behind drawn curtains. You’ll find your way to a centre, you’ll be pointed towards the petition book, and you’ll scribble your signature. If I’m right in that, the world and his mother will be able to watch you sign it. 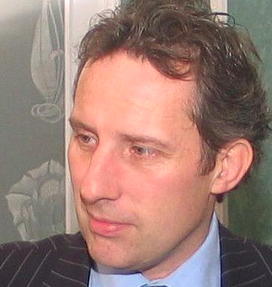 Even approaching the building or the room will announce: “This man/woman wants to yank Ian Paisley Jr back to base and put him through a by-election.” If you’re a nationalist in a largely unionist area, you’re going to be identified as being anti-Paisley if not anti-unionist. There are places in North Antrim where the Irish navvy school of political criticism still prevails. I’d be the last to say North Antrim has more beady-eyed bigots than any other area; but I would also be the last to say it has less. Getting out of your car and walking into the signing centre could be like a scene from High Noon or a spaghetti western – no background music but a lot of watchful faces as you do the long walk. If at this stage you’re saying “Oh come on – these people have the courage of their convictions – it’s only a petition for a by-election, not a jury vote in favour of hanging.” Which is true. But I can’t see the public nature of this whole exercise being conducive to a democratic exercise. There is one simple way in which this could resolved: the incumbent MP could resign his seat and then the electorate would go straight to the normal secret ballot by-election. But that would be to assume that Ian the Younger won’t need to have his fingers broken before he’ll release his grasp on the seat. Is there a cure for the Brexit blues?